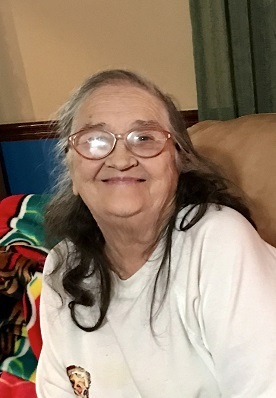 Shirley F. Anderson, 79, of Dyersburg, Tennessee died on Monday, February 11, 2019, at her residence in Dyersburg,Tennessee. Born Wednesday, July 19, 1939, in Metropolis, Illinois. She was the daughter of the late Richard Durward Webb and the late Susan Ruth Emery. Mrs. Anderson was a former teacher at Seward Elementary School in Chicago, Illinois and retired from the City of Dyersburg School System as a special education assistant. Funeral services will be 11:00 AM Saturday, February 16, 2019, in the Chapel of Johnson-Williams Funeral Home. Officiating this service will be Rev. Scott Sewell . Interment will follow in Fairview Cemetery in Dyersburg,Tennessee. Visitation will be Friday, February 15, 2019 from 5:00 PM until 8:00 PM at Johnson-Williams Funeral Home. She is survived by one daughter, Felicia Anderson (David) of Dyersburg, Tennessee; one son, Glenn Anderson (Robin) of Dyersburg, Tennessee; one sister, Patsy Glisson of Newbern, Tennessee; three grandchildren, John Paul Anderson of Las Vegas, Nevada, Braden Paul Anderson (Brittany) of Dyersburg, Tennessee and Payton Willow Anderson (Charles) of Nashville, Tennessee and three great-great grandchildren, Braxton, Brock and Bryley. In addition to her parents she was preceded in death by her husband, Jessie Paul Anderson; three brothers, Richard W. Webb, Durward "Junior" Webb and Thomas Webb and one son, Paul Edward Anderson. Pallbearers will be David Donnell, Frankie Webb, Eric Galla, Kane Glisson, Kenny Day and Jake Walker. Honorary pallbearers will be her grandchildren and great-grandchildren.